The Indian women's compound team lost to their Colombian rivals in the World Archery Championships and succeeded in bagging a silver medal. The trio strived to acquire the gold medal, but, the rivals gave a tough fight and limited them to silver, making it India’s fifth silver in the competition. 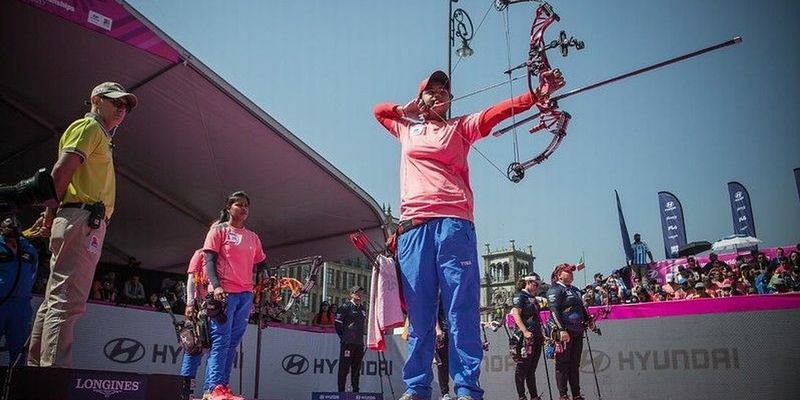 In the finals of World Archery Championships, PTI reported that the Indian players Trisha Deb, Lily Chanu Paonam and Jyothi Surekha Vennam went down 228-234 to the fourth-seeded Colombian team, which consists of world record holder Sara Lopez, Alejandra Usquiano and Nora Valdez. The Indian women were eyeing India's first ever gold medal, but, they just managed to secure a silver medal, making it India’s fifth medal at the World Championships, all of them being silver. Moreover, India won a medal in the compound team archery section for the first time at the World Championships. Colombia landed only six arrows out of the 10-ring and after that, took a three-point lead at 58-55, in order to secure their second ever world archery title. The bronze medal was grabbed by the Korean team, represented by Song Yun Soo, So Chaewon and Choi Bomin. They defeated Germany 235-227.